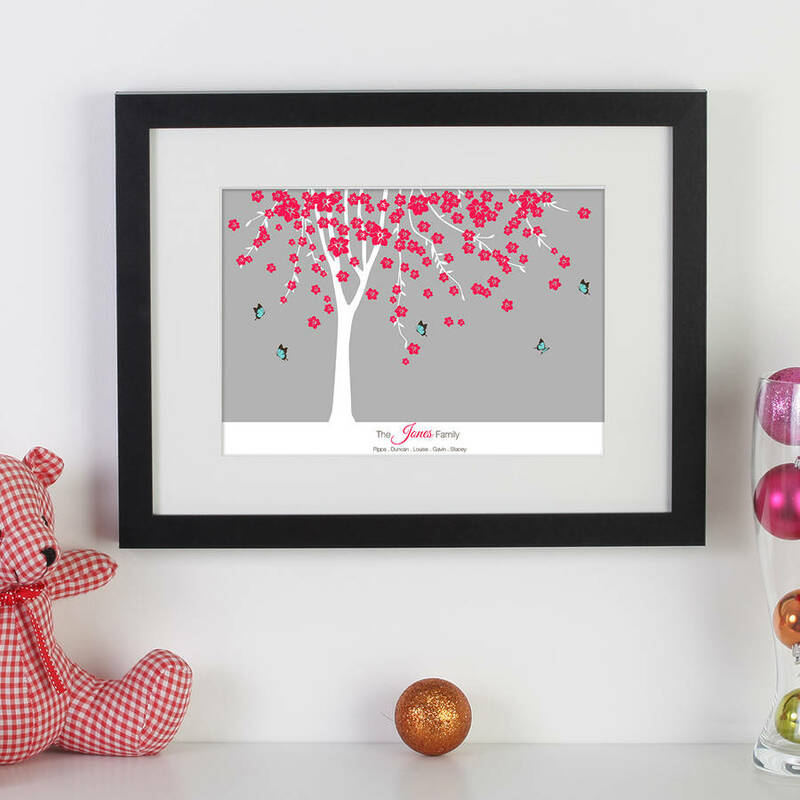 A cute personalised print of butterflies flitting between trees with your individual family names reflecting the number of butterflies. Made to order from our family collection. 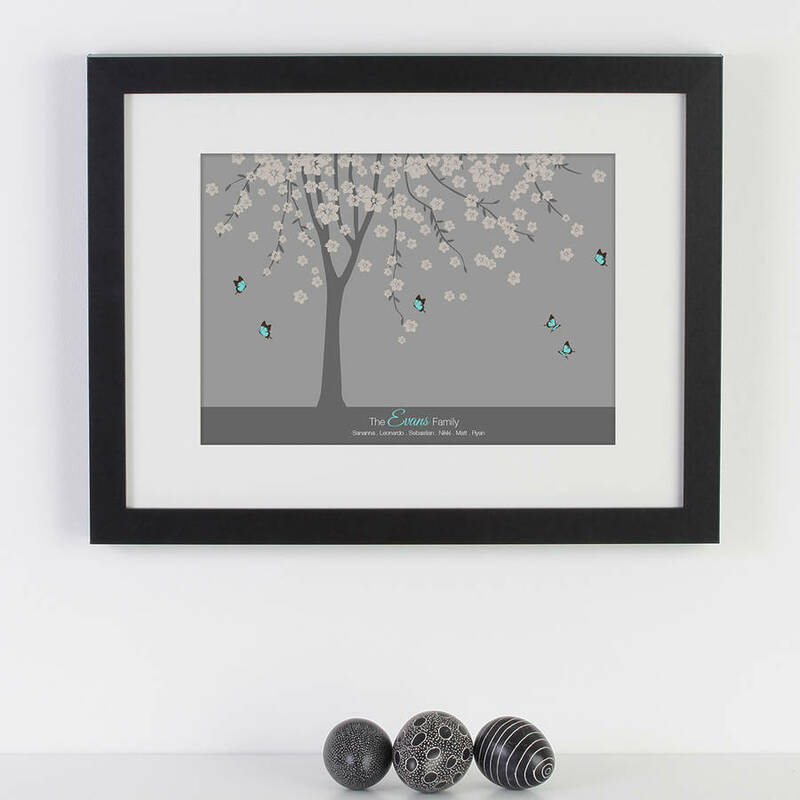 Perfect as a unique gift for all your family, friends and relatives. 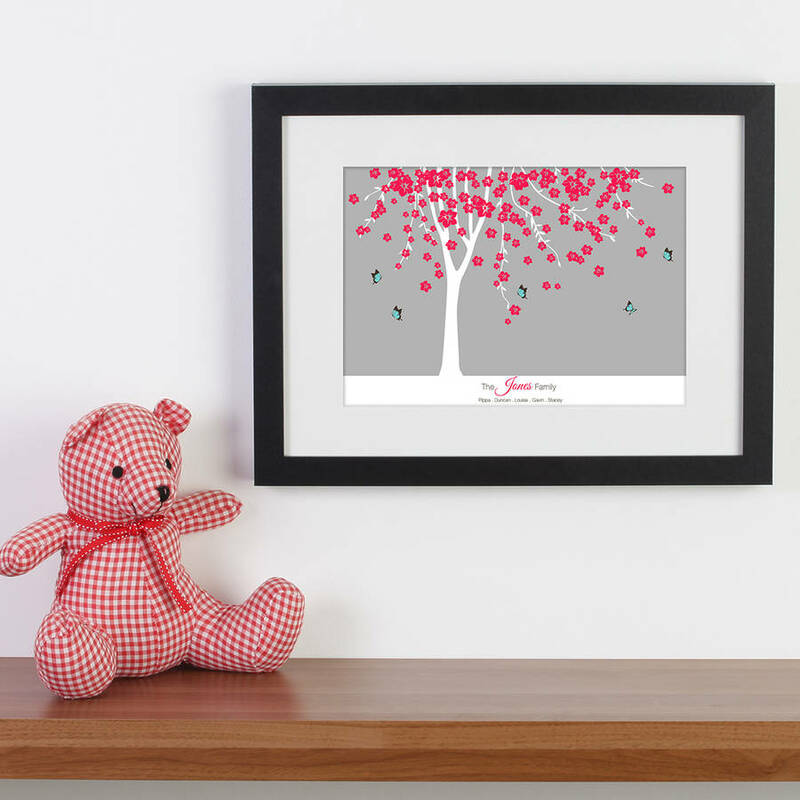 Choose the size of print you want and you can have your family members individual names displayed at the bottom reflecting the position of the butterflies above, together with your family name. Each butterfly represents a family member who are named at the bottom from left to right. 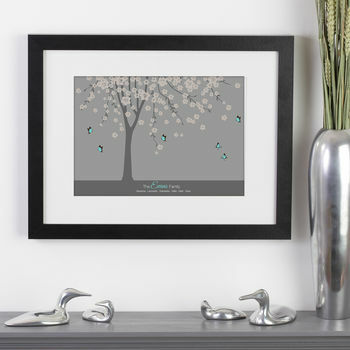 Created in our Devon studio, all our prints are designed with a personal touch to enhance your enjoyment of the gift. 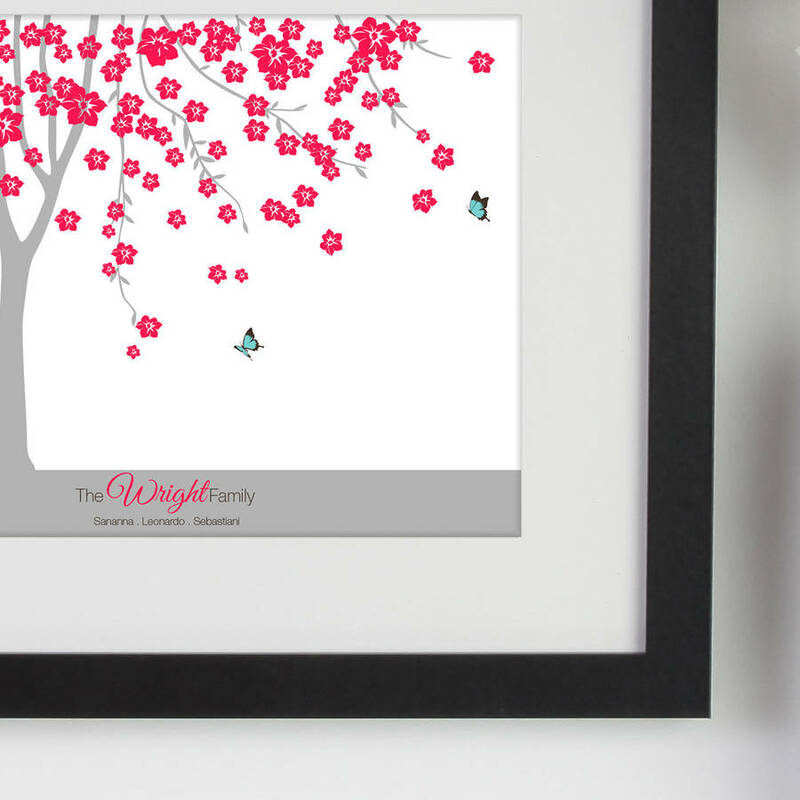 We use cutting edge techniques to create each individual print which adds style and glamour to any home. 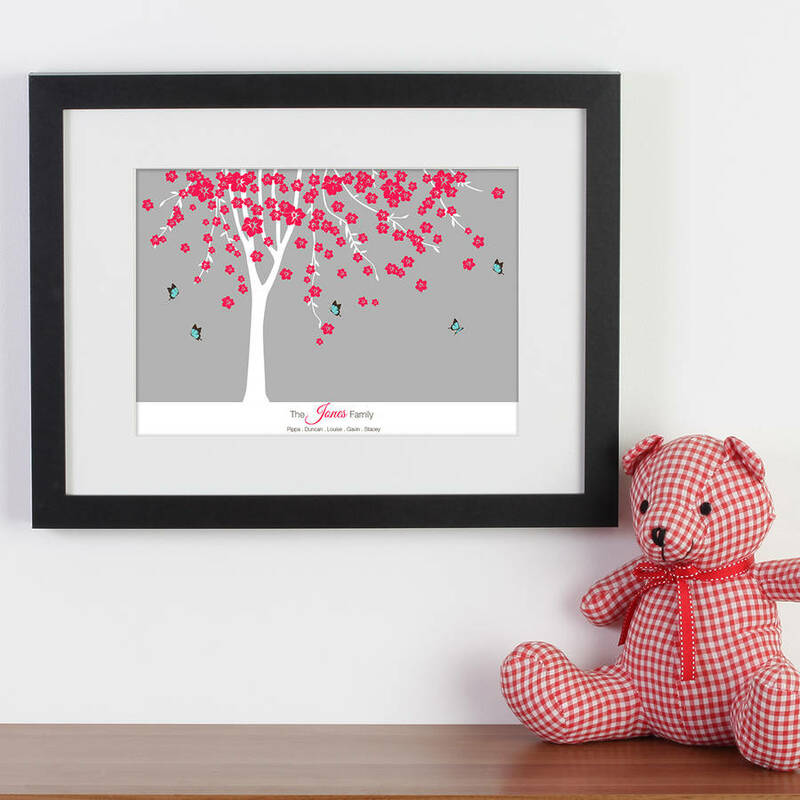 Each print is produced to order which enables us to offer this product with different names. But please note that the names are captured digitally so that if you have made a spelling mistake it will be like that on the print. We cannot be held responsible for your mistake so please check very carefully! 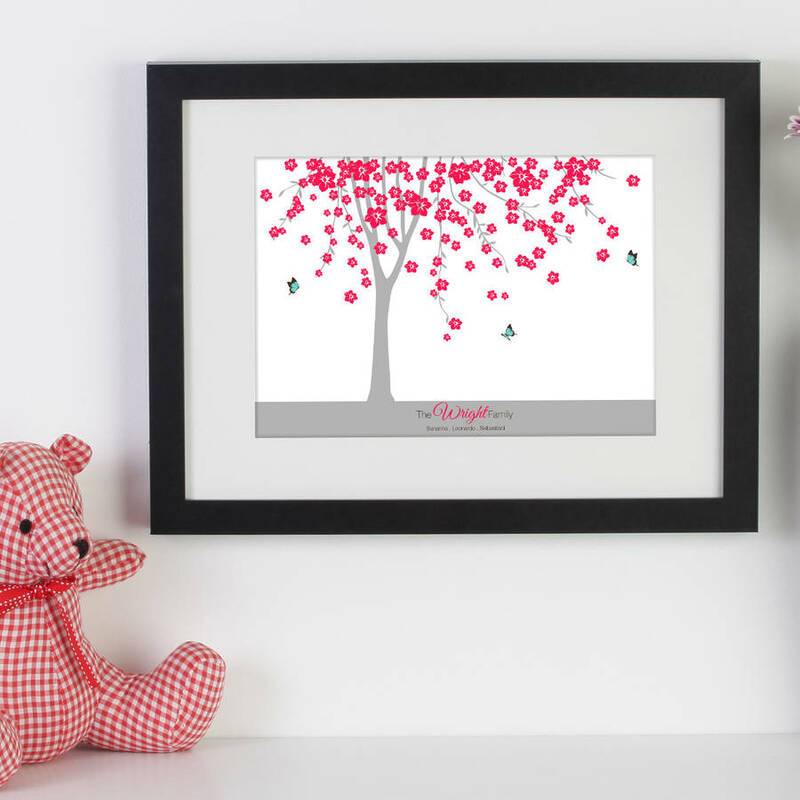 We also offer a variation of print sizes from medium to extra large, along with framing options using our cool contempary style frames. We print using state of the art Giclee printers which print using light fast technology, meaning you will have no problems with your print fading. The paper we use is a fine art textured 300gsm archival stock of a very high quality. 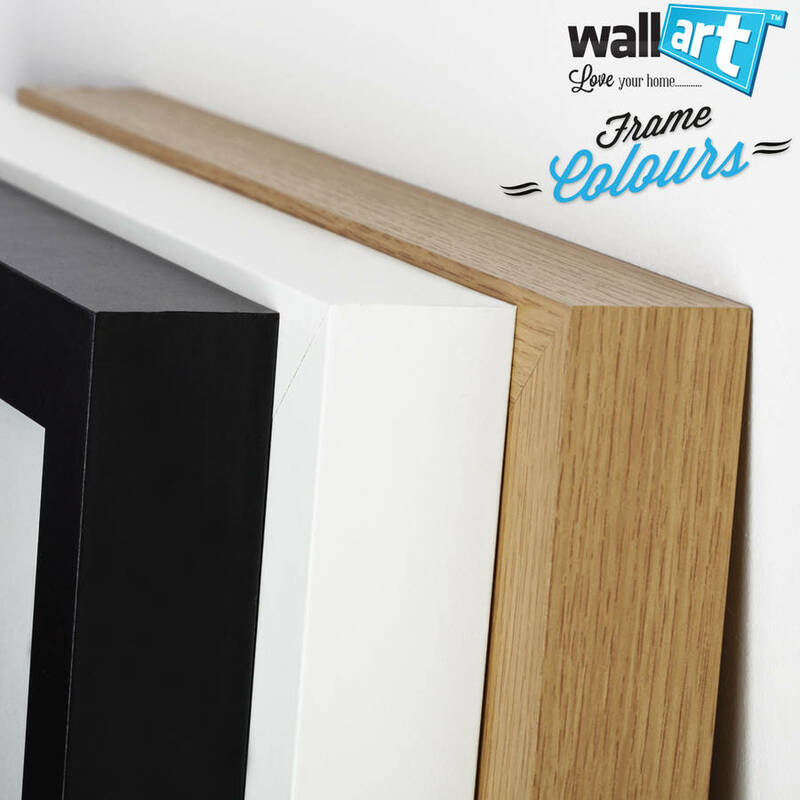 Our frames are sleek and chunky with a 30mm front and side profile, all our frames come with a wide white board mount, which helps frame the print perfectly, we also use an optically clear stryine instead of glass for safety. 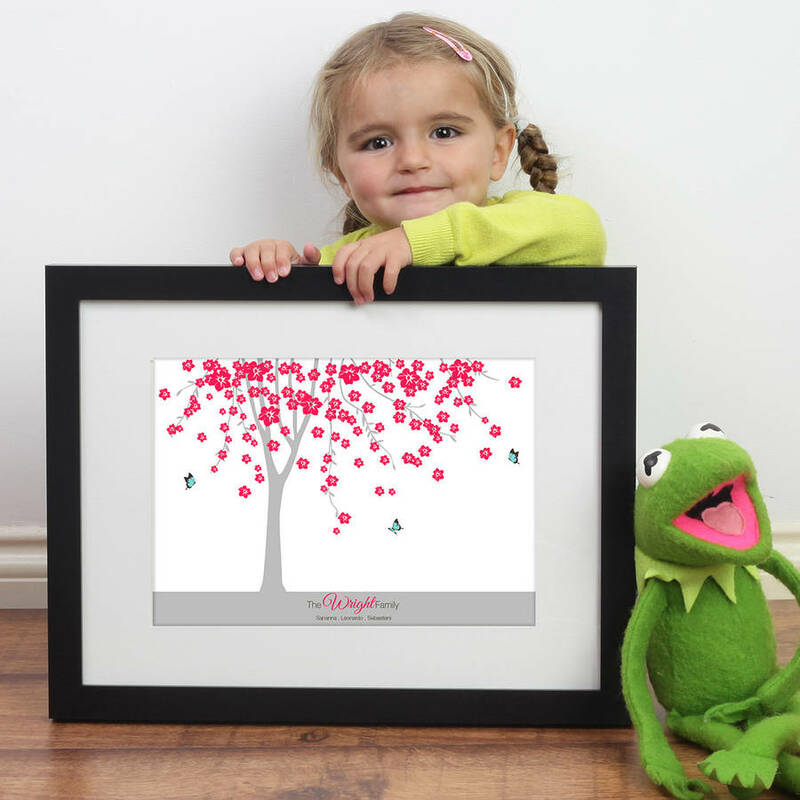 This product is dispatched to you by Wall Art.